This is another way we think might work. 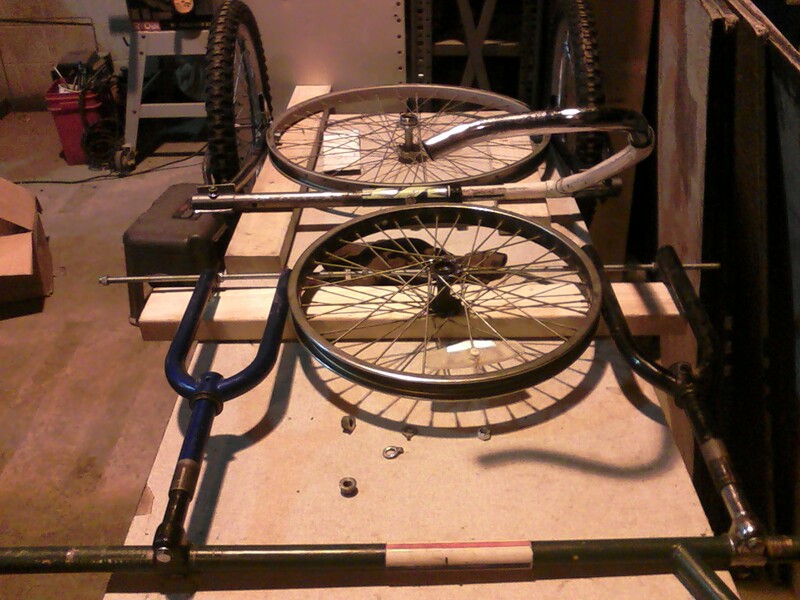 Using the front forks instead of the rear triangles. 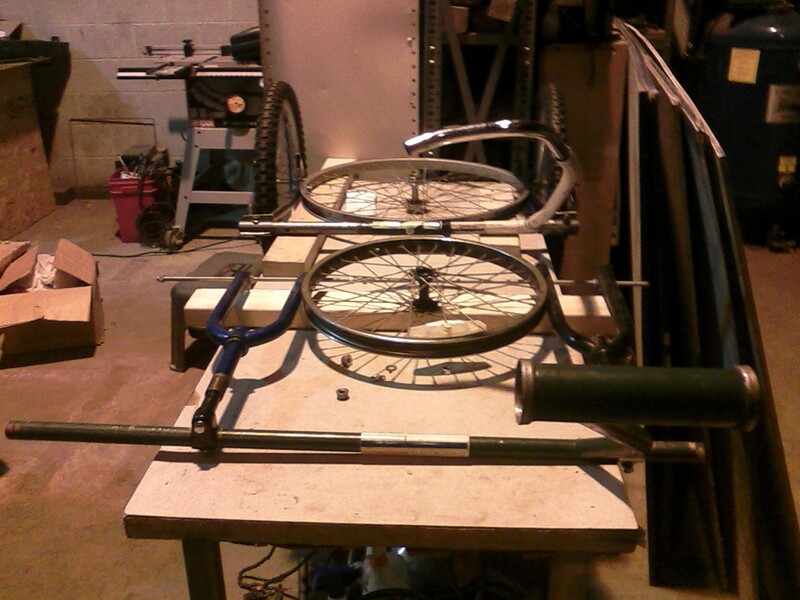 The good thing about this is if they both work then we can get 2 trailers out of 2 bikes. This design is a little cleaner also and requires less cutting.